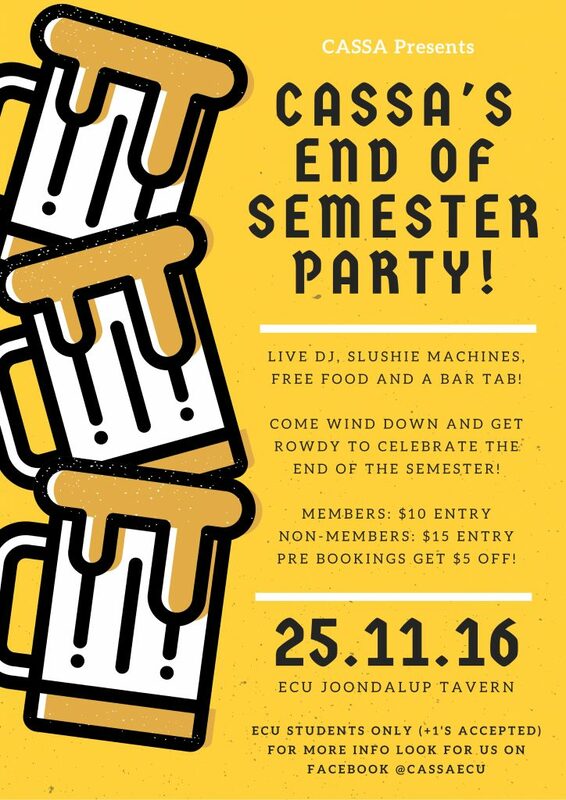 Join us for food, music and drinks at ECU’s Joondalup Tavern on Friday the 25th of November to celebrate and wind down after a long and hard semester! (PRICE REDUCTION) Online reservations get five dollars off! Just click the link below or the tickets available tab above, enter your full name and student number and you will be on the list! This years end of semester is going to be a tonne of fun so come on down and get rowdy!